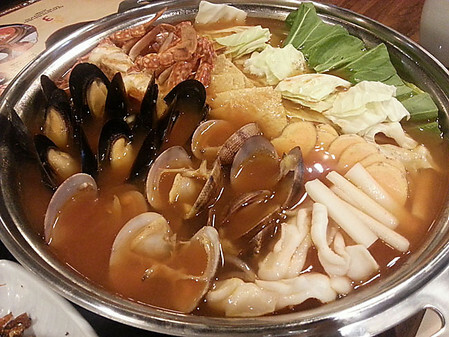 Although widely acknowledged as a Japanese dish, shabu-shabu has become an integral part of Korean cuisine. Its transcending of borders is not surprising at all. 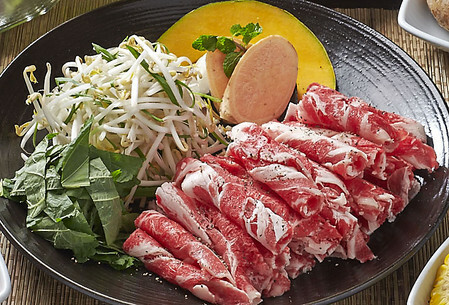 Made up of thinly-sliced meat and vegetables cooked in boiling umami broth, warm and hearty shabu-shabu offers a comforting experience that appeals to all. 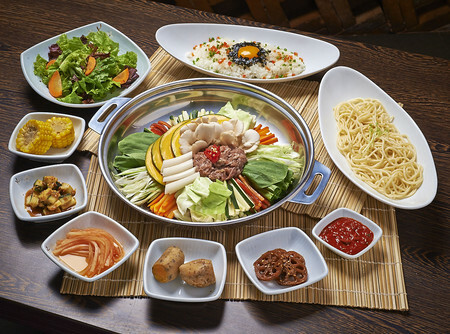 Recognizing that above said appeal, Bulgogi Brothers, a casual style restaurant specializing in Korean BBQ, recently added shabu-shabu dishes to its selection. 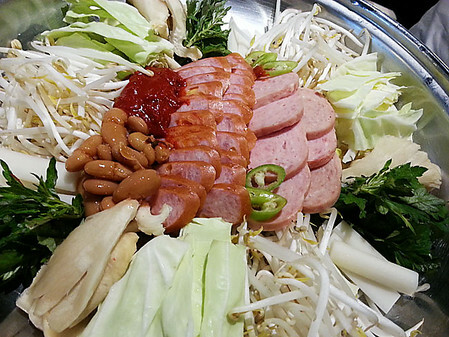 Diners have the option to choose what meat goes into their hotpot. There’s Beef and Veggies with beef bulgogi on a garden of leeks, peppers, cabbage, bean sprouts and mushroom; Ham and Sausage, a marriage of American and Korean flavors with ham, sausage, cabbage, bean sprouts, mushroom and gochujang (Korean hot chili paste); and Mixed Seafood, a plate of fresh and plump clams, blue crab, mussels and squid cooked over a spicy broth. 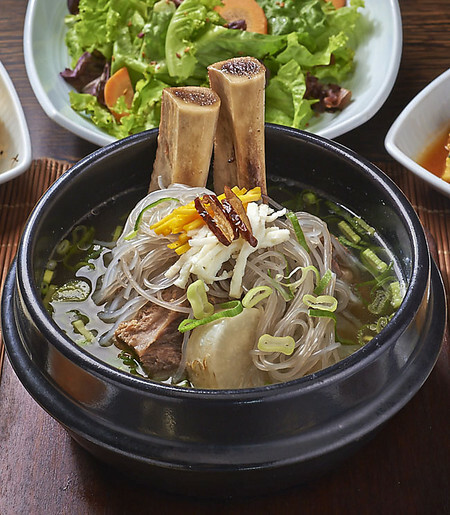 "Our broths for the three shabu-shabus are made with different amounts of anchovy and kelp," shared Chef Josh Boutwood, Corporate Chef of The Bistro Group of Restaurants. The experience will begin with the server pouring broth onto the pot, bringing it to a brisk simmer. 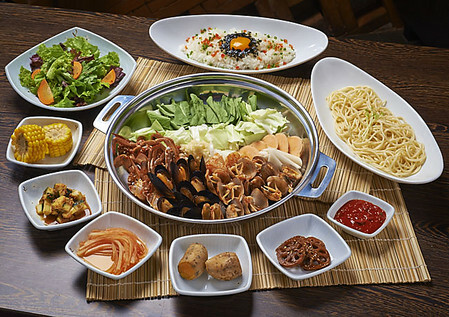 Since shabu-shabu encourages guests to be their own cook, the rest of the cooking will be done by the customers. 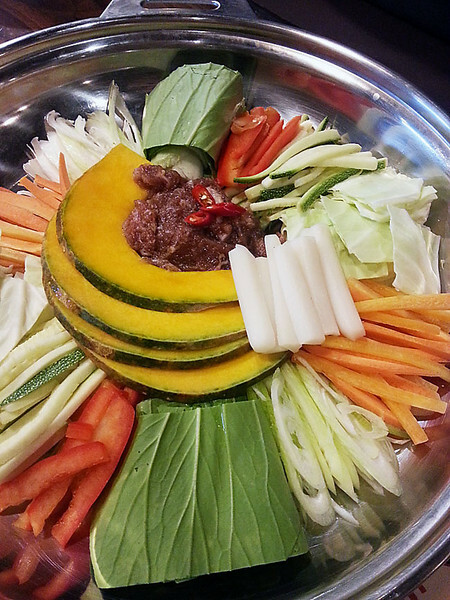 They are to toss some Ramyun noodles together with the meat and other vegetables. 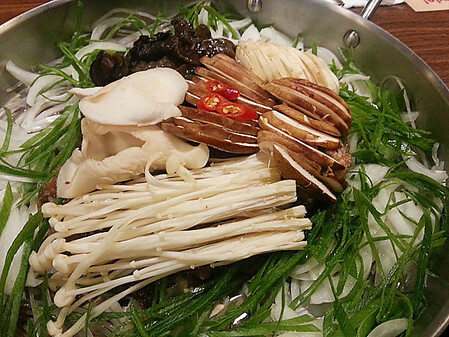 After that, they can add the rice topped with seaweed, vegetables and egg to create a rice porridge. 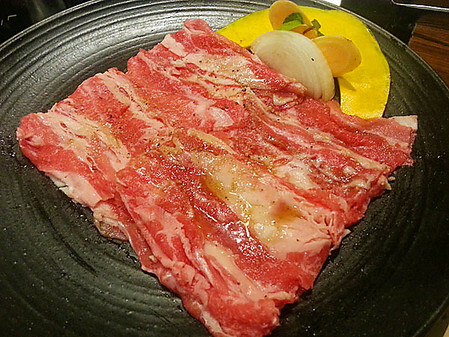 Apart from the shabu-shabu options, the revamped menu also includes new bulgogi variants like Beef Belly BBQ, Mushroom, Beef Brisket, Pork Bulgogi and King Galbi Tang. 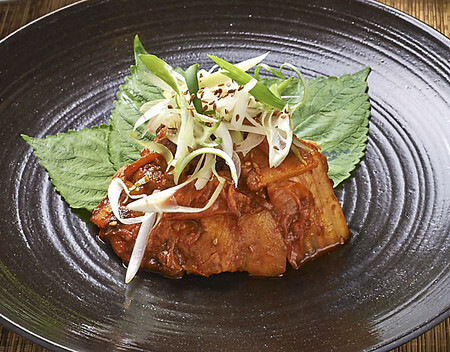 An original concept from Seoul, Korea, Bulgogi Brothers was founded by Korean cuisine experts and an ex-presidential chef. 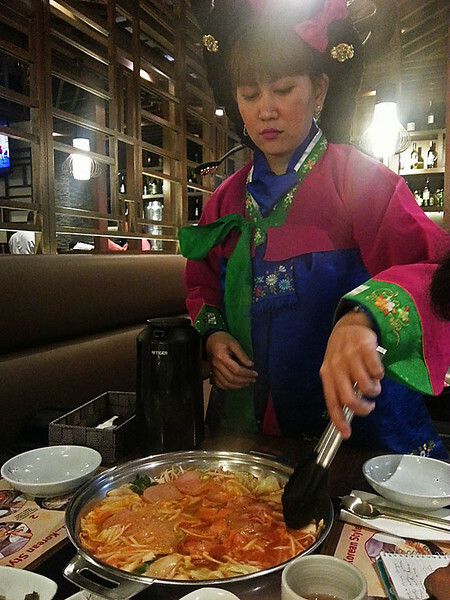 This casual style restaurant specializing in Korean BBQ grew to 28 branches all over Seoul in a short span of time. In 2011, it opened its first international branch at the third floor of Greenbelt 5 in Makati. Three years later, it opened its 4th branch at the 3rd level of Glorietta 2.